When vacationing in Hawaii, you know you’ll need shorts, sunglasses, a wide-brimmed hat and swimming gear. You probably won’t find the same food you do at home, especially if you live farther north. On the other hand, skiing in the mountains requires a completely different wardrobe. You need thick, warm clothing, and you’re more likely to spend your evenings sipping hot chocolate than a frozen cocktail. According to the University of Minnesota, horses traveling from a cold, dry environment to one that is hot and humid need 15 to 21 days to acclimate. They need constant access to fresh, cool water and should only work during cooler times of the day. 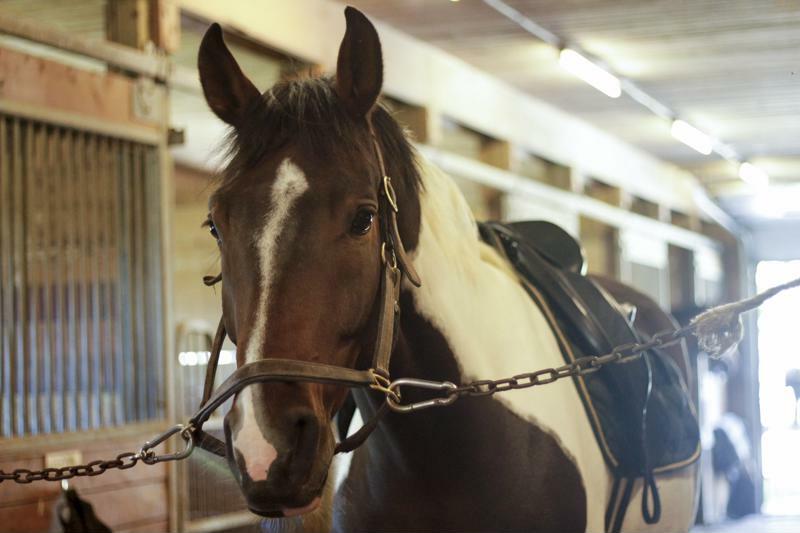 Your horse needs some time to adjust to new weather. Horses need access to shelter, whether to keep them warm or cool, as they adjust to new temperatures. They also need proper exercise, but keep an eye on them to make sure they don’t get too hot in warm environments. In cold areas, clipping patterns, blankets and shelter help a horse regulate its body temperature. This way, a horse doesn’t get too hot from exercise and then get stuck standing in a cold barn. Horses can easily get dehydrated in warmer climates. They lower most of their body temperature through sweat, The Horse noted, but a lack of water and electrolytes will prevent them from doing so. This can lead to hyperthermia and possible heat exhaustion. Electrocharge, Finish Line’s rapid absorption oral paste, aids horses to replace electrolytes in the same proportion lost through sweat. Owners should increase their horse’s water intake and add equine electrolytes to their diet. Be sure to select only high-quality horse products, as your horse needs sodium, chloride and potassium. Many options are simply high in salt or sugar. Finish Line’s Apple-A-Day and Orange-A-Day daily supplements help horses replenish electrolytes lost through daily activities and promote water consumption without including unwanted sugars or fillers. Horses moving to cold environments might need more water as well, the University of Minnesota recommended in a separate article. Hay and grain, common food sources in these areas, contain less than 15 percent moisture. In comparison, pastures in warmer climates contain up to 80 percent moisture. Heading to a new area means you’ll have to get used to the local cuisine. Your horse must adapt in the exact same way. If you and your horse are only staying in a new environment for a short period, bring enough familiar food to last him through the trip. If you’re staying so long that bringing food for the entire trip isn’t feasible, however, bring some to mix with what’s locally available. You’ll only need to mix for a few days. Begin with a regular ration of the horse’s normal food, then start replacing some of it with local fare. Keep giving your horse more each day until their diet is completely replaced. EquiNews suggested investigating the mineral content of the food and soil of your new location. If the area is missing certain nutrients, bring some horse supplements or vitamins with you to compensate. Using these tips ensures your horse is as comfortable as possible when traveling for training, competitions or any other reason.